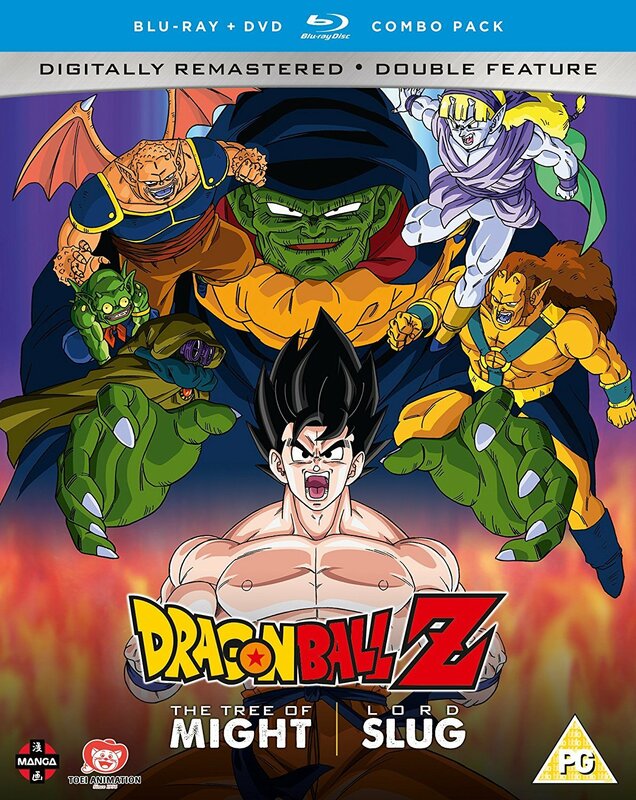 Dragon Ball Z Movie 3: The Tree of Might (known is Japan as A Super Decisive Battle for Earth, which is a tad more dramatic than its English counterpart!) 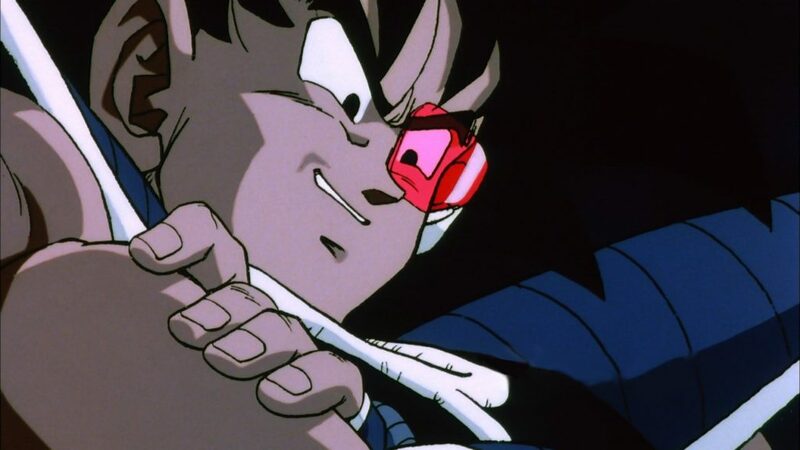 was first seen in July 1990, when the early parts of the whole Namek / Frieza arc had been airing on Japanese TV. That means the characters featured have their Frieza arc looks, but the actual abilities they show are very much based on the battle with Vegeta and Nappa from the end of the Saiyan Arc. It is also the film that made up most of the footage of the now iconic “Rock the Dragon” intro from the early DBZ dub, including the classic shot of Shenlong hovering over a dead forest. That’s often all I can think of when I watch the film, seeing all the action I once assumed happened later in the show, but actually was just from this movie (and a few shots from Movie 2 as well). Anyway, the plot starts with Gohan, Bulma, Krillin (see the Namek arc influence!) and Oolong (not so much, but hey) camping in the woods, only for an alien ship to crash and start a forest fire. Gohan and Krillin put it out, but the forest is destroyed, leading to them gathering the Dragon Balls in order to wish for it to be restored. This leads to the rest of the first half of the film (which, as a reminder, is only 45 minutes long) being about Gohan playing with a new pet dragon he names “Icarus”, or “Haiya Dragon” in the Japanese version. Where is the Tree of Might, or indeed the Super Decisive Battle for Earth, I hear you wonder? 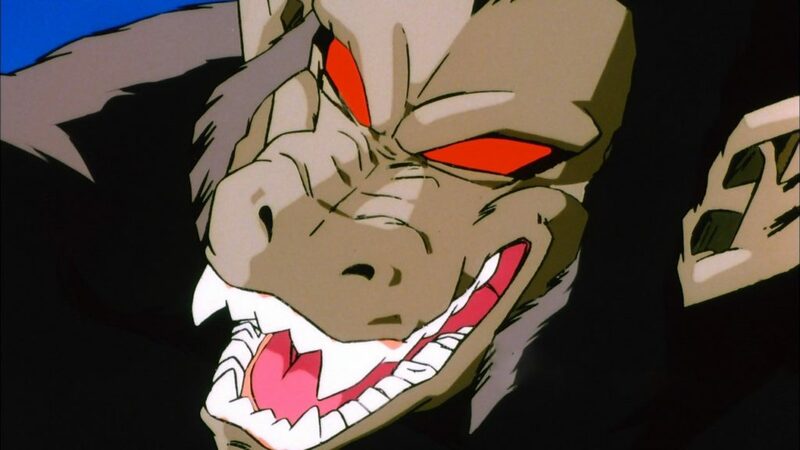 Well, soon enough we see a group of assorted weirdos wearing the Frieza army armour talking about the titular tree and how Earth is the perfect place to plant it, despite the fact that Kakarot (alias Goku) was supposed to have wiped life from its surface. Once the tree is planted and roots start eating up all of the planet (bet you wished you’d saved the Dragon Balls now guys!) 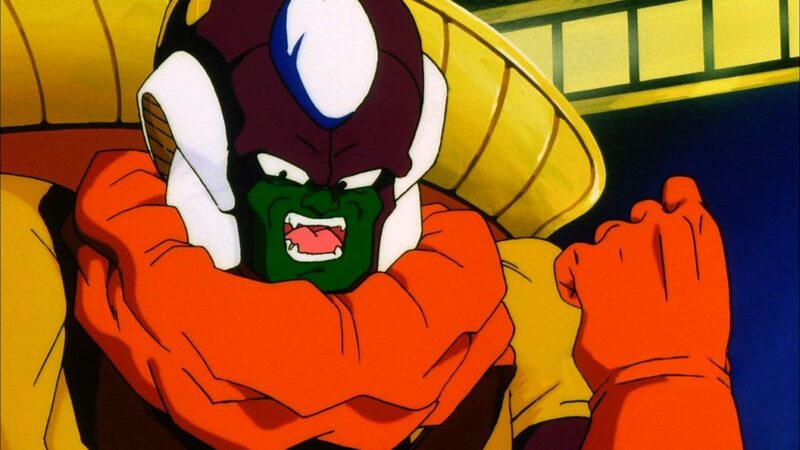 everyone starts fighting and we’re FINALLY introduced to our lead villain, Turles (or Tullece, in Japanese, keeping with the Saiyan-vegetable puns thing). A couple of trailers is all you’ll find extra on the disc, though once again it contains English dub with the dub music, English dub with the original Japanese music, and original Japanese with English subtitles. The picture is once again restored well, very bright and colourful but not over-saturated to the point of losing grain or details. So Movie Collection 2 is harder to recommend. Unlike the first two films, which at least had some unique villains and set-ups to them, these two films are not so lucky. Turles is a fun villain, ignoring his nonsensical existence, but Movie 3 is very slow going and doesn’t offer much to anyone who wants to watch someone other than Goku do something, and Movie 4 is one of the worst ones of the original 13 and is frankly quite dull. Sadly, as nostalgic as these are, this is one collection you can miss and not feel bad. Given the way the films are split into groups of two, this will probably be the only one without at least one good film on it, so we should be good from here on out!